I have had lots of new things shifting my focus from blogging over the past few weeks (in a good way - hello Jake! 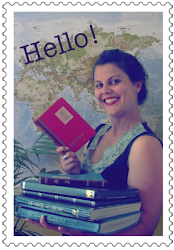 hello turkish lessons! hello ridiculous notion of training for fun runs! ), but on this sweltering hot night in Melbourne, I thought I would get back into it and participate in this week's Sunday Stamps. 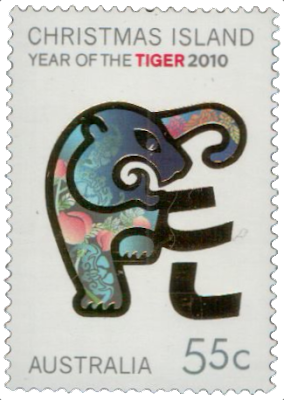 The theme this Sunday is related to the Chinese New Year, which on Feb 10 ticked over to being the year of the Snake. I've got a sneaking suspicion the Year of the Snake is going to be awesome. 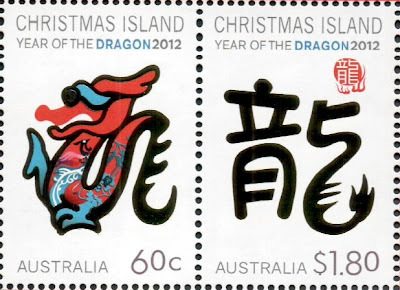 The scans didn't work so well, but the Christmas Island stamps feature gold embossing; the characters aren't black as they look in the picture. 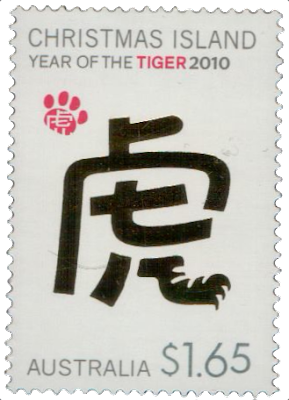 I think it is pretty clever typography to turn the Chinese symbol into the character, with the tail swish in the 2012 Dragon stamp, and the hairy claw in the 2010 tiger stamp. 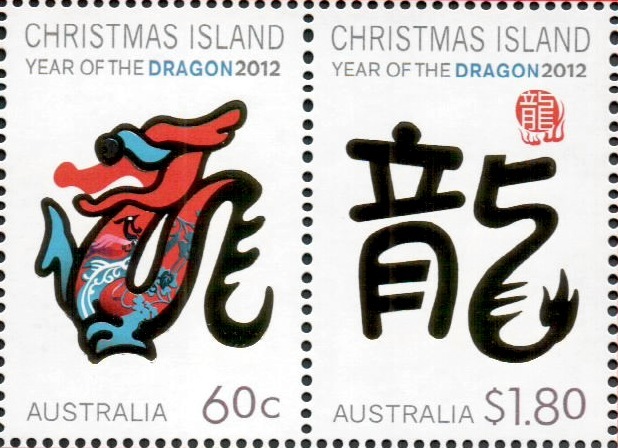 I am definitely looking forward to getting my hands on the Year of the Snake stamps at some stage soon. I agree that the typography is clever. Love the typography idea! and the designs in general are really nice! 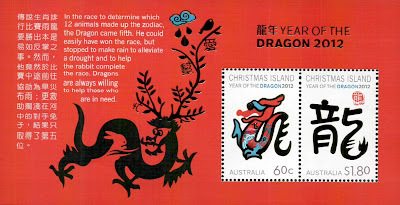 I have received the tiger stamps as well and the dragon stamps looks really cute! What a cool presentation of each stamps. The designer deserves a medal for these stamps, really clever. I like the paw print on the tiger stamp, looks as though it has just left. 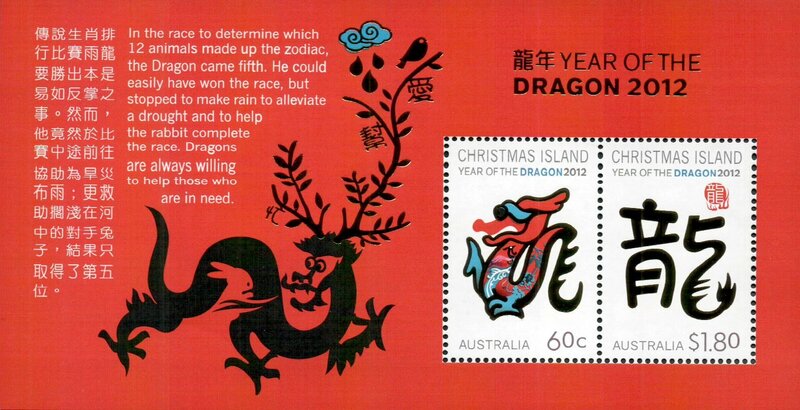 Lover the clever idea of this series, Christmas Island chooses some great designers for their stamps. These are incredibly clever designs.